I have no reason to doubt that rehab but I’m also not 100% sure it’s final. I’ve never known it to run until then end of March. I honestly don’t know about q passes. I’ve been days that were packed that should have been dead and vis versa. I will say don’t bother with a Panda world pass. I’ve always just walked in it never gets a line. Little bit ironic that the helicycles got a permanent closure announcement considering a couple years ago it was only opened on the busiest days for crowds and the last 2 years or so just sat rusting away with a permanent spot on the closed for the day sign while still being listed on the park maps. T Express will reopen on the 14th with a new event called Roller Coaster Week that runs from umm.... February 14th to March 13th. One of the events announced is a meet up with Jeong Jun Ha, a famous TV celebrity who has done a few eating challenges, both at Everland and recently at Magic Mountain during a trip to L.A. for the show. 1: The online ticketing has become more flexible on queue passes. Before you could either get just the one or had to get the expensive 5 set. Now you can choose from 1-5 depending on how much you want to spend (the panda exhibit almost never has a line). However, you have to specify which ride and can only check each one once (booking for a group would mean either booking each person separate or having the same passes) and each ride is limited to 50 tickets a day. 2: The app now has an English option and a thing called 'Lennie's Chance'. You can earn and use points on time slots for fast passes or reservation only attractions with the most popular rides like T-Express and Lost Valley at 5 points other rides at 4-3 and reservation rides/shows at 1 point. Full disclaimer, my last visit was before this was implemented so i don't know if Lennie's Chance is actually chance based when you use points or a guaranteed pass. I'm also not sure if you can still go to the counters for reservation rides instead of spending points. Foreigners can only log-in with temporary membership for 7 days and are a little more limited. Everland have replaced their Mystery Mansion with Shooting Ghost. Gone are the round all facing 4 people cars and physical sets that reacted to the guns replaced with forward facing cars and screens. In other news the polar bear that got Everland in trouble with animal rights people, that I mentioned previously will be shipped to a reserve in the U.K.
Last edited by Garet on Thu Oct 18, 2018 5:31 am. 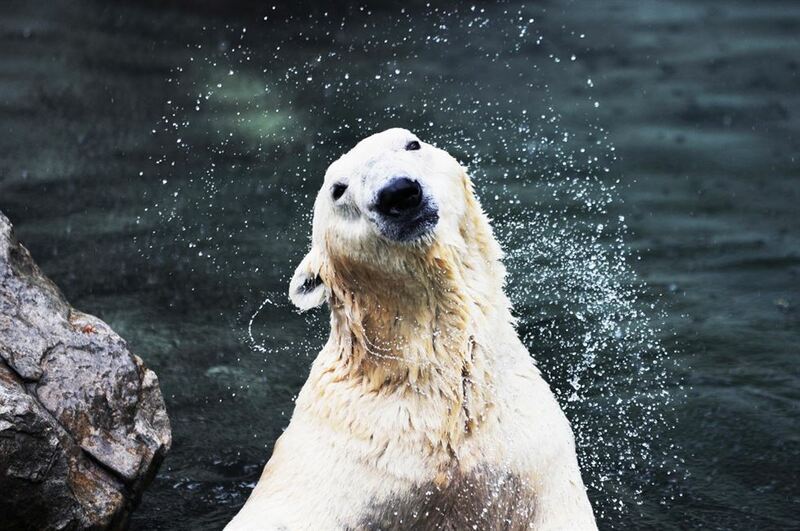 Everland's polar bear, the one that caused issues with animal rights groups I mentioned on my last few posts here has passed away. The only remaining polar bear in South Korea, which had lived in a zoo south of Seoul for more than two decades, has died ahead of his relocation to a wildlife park in Britain later this year, zoo officials said Thursday. The bear, named Tongki, died around 6:00 p.m. Wednesday at the zoo of the Everland amusement park in Yongin, south of Seoul. 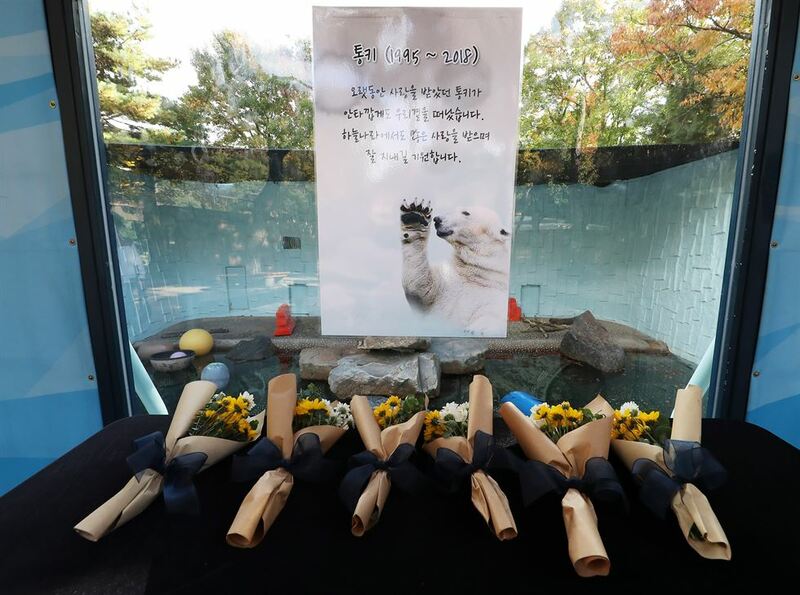 The zoo asked an expert at Seoul National University's the veterinary school to conduct an autopsy on Tongki that lasted until the early hours of Thursday. The expert said the polar bear is believed to have died of old age. Tongki died in the amusement park at 6 p.m. on Wednesday. In June, the zoo said it would relocate the 24-year-old Tongki to Britain's Yorkshire Wildlife Park in November as it looked for ways to provide the aged bear with a better living environment after other polar bears at the zoo died. Animal activists had called for better living conditions for Tongki. The home page currently is running a memorial picture as the main image and greyed out logos. I will be in Korea for a week over new years, any chance t express will be open? What is the temperature requirement for it to operate? It’ll be down for it’s yearly rehab the month of January so go before the second. They normally do it then since it can be too cold to operate. I’d have to check the weather limits on the korean site when I’m home. Thank you so much for your help. Looks like I could go on the 31st or the 1st but I assume both of those days will be super busy. ^Did you get your ride in? The park was pretty busy on the 31st but rides were open until 1 am and the heavy crowds may have worked in your favor since T Express opened, the other days during the cold snap here it was closed on weather standby.